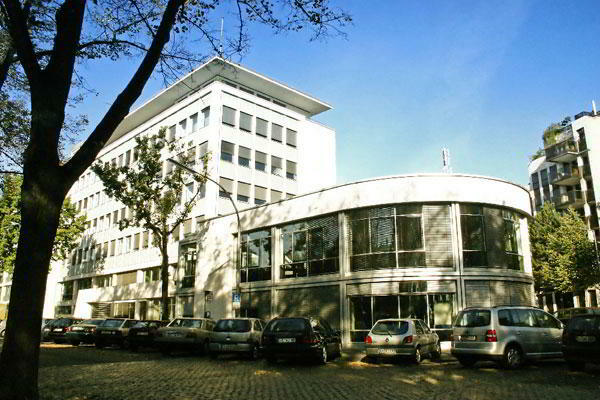 This address is an ideal Bielefeld virtual office location. The location offers a selection of virtual receptionists services at a nice price. Call Alliance Virtual Offices for more information about this Bielefeld virtual office. This location offers a good Cologne virtual office address. It offers a range of low cost office services including short term office use and meeting rooms. For more information about this virtual office in Cologne, call now. Impress clients with a prestigious Darmstadt address. Our modernly designed center offers flexible virtual office plans that include mail forwarding services and a dependable Live Receptionist call answering support. Thanks to this leading workspace operator, your business will stand out with numerous amenities such as access to on-site conference rooms, private offices, friendly staffed reception and high speed internet access. This Westfalendamm 98 virtual office is the perfect Dortmund virtual office. This location offers a full menu of business services including mail handling and clerical services. Call Alliance Virtual Offices for more information about this Dortmund virtual office.